Last Sunday, long before the sun rose, our Boy was up and conducting an early-morning Google search for the amount of sales tax that would be added to the cost of a $30.99 video game he wants. Despite our efforts the day before to coax him into waiting for Christmas, to see what presents might be under the tree, he wanted to make the case that he had enough money to buy Skylanders right now. As he Googled in the early morning dark, he hoped. Advent hope has its genesis in the dark. Advent literally means coming into being, and for the church it marks our anticipation of the incarnation, of God’s own self becoming one of us. We prepare for an amazing event. We await new life as the days grow shorter. At first it feels like keeping a secret, like a pregnancy in the first trimester. Even before the mother suspects, life is taking new form in the dark of the womb. All the way to church last Sunday, our Boy tried to convince us that Christmas was still very far away. Meanwhile, he calculated 7 cents times 31 dollars, and 31 plus 2.17, minus 1 cent equals $33.16. He is good at math. Later in the day, he counted out $35 from his careful savings and put it in an envelope, writing “Skylanders” on it. We had a break from the discussion when he went to his dad’s house for Thanksgiving while we got out of town for a couple of days. By the time we were headed back, we were of course discussing Christmas presents, as parents do, and also what to say on Sunday, as preachers must. I thought about that sign. or raising him beyond our limits. They take him beyond our capacity to touch and know. We need to know Christ incarnate, I thought. We need him badly right now. Where else can we find hope in a week full of images of fires burning, and local police dressed out in riot gear standing under a lighted city sign proclaiming, “Season’s Greetings” – where else? Because there has to be some way to make sense of all this violence and hatred and just plain meanness directed at people we think are different from us. One day last year we took two of our boys to Washington, DC, for a day of touring the Smithsonian. The American History Museum was our last stop, where I was eager to see America’s Doll House. After my patient family watched me ooh and aah over the contents, I took off on my own to look for the book. In the gift shop, I approached the cash register and waited while the person ahead of me made his purchase. He was about my age, or a few years younger, dressed, like me, for a day of sightseeing, in nice but casual clothes. He had grey in his hair, but not as much as in mine. He bought a shot glass decorated with a TV show’s logo. When he handed over his credit card, the clerk solemnly asked one thing, to see his ID. He hesitated for a moment, and then he complied. Immediately, I opened my wallet, readying my driver’s license, which surely I would be asked to show alongside my Disney Princess Castle-themed credit card. “So you have one of those cards that will give you the discount today,” she prompted. And I know the world is like this. I read up on it; you know, in the newspaper and on blogs. I am here telling you I know it happens. But I rarely see it play out so close up to me, in the flesh like that. In Mark, we hear Jesus trying to get the attention of his closest disciples. It’s a real “Come to Jesus” moment, a shoulder-shaking truth-telling. The time is coming, and no one quite knows when, he says, and God is going to set things straight. It’s the same hope Isaiah spoke. It’s the same wish the Psalmist cried out to see. Restore us, O God, let your face shine and light up the world again, because it is dark here in the 21st century wilderness, with tanks on city streets and wartime gear on cops and protesters throwing stones and setting fires to get us to take their pleas seriously. It is dark here. Where is our hope? What other hope do we have? Focused on the death he suffered and the belief it somehow paid for our sins. But is our hope in forgiveness of the long lists of wrongs done by us, done to us? Focused on cycles of renewal and God’s victory over death. But is our hope in the vision of life renewed, or life beyond this world? 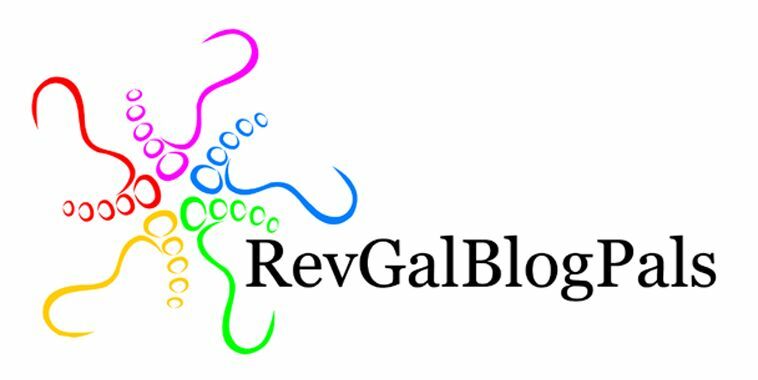 despairing of our future, identifying our wrongs against God and each other? This week, all week, voices have been calling out for justice. My friends both black and white who are the mothers of black boys fear for their sons: babes in arms, little boys of 6 and 7, young men of 15 and 20. 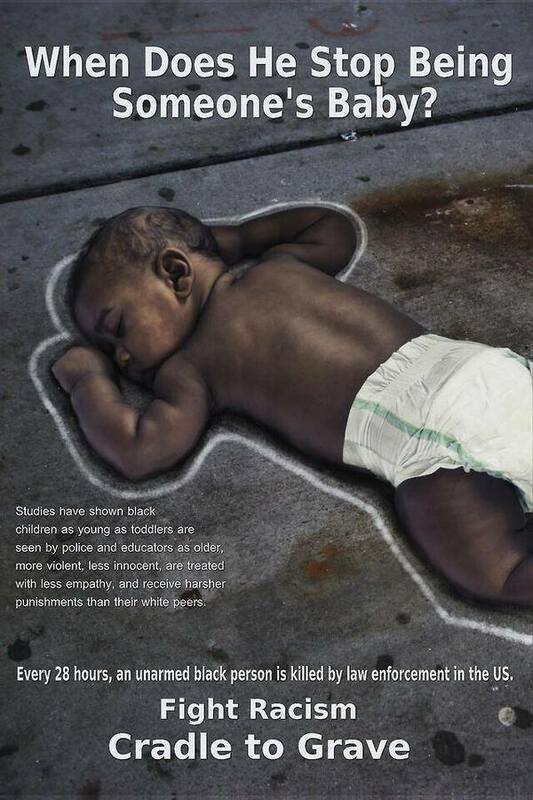 A powerful image circulated in social media, an infant boy on the pavement with a chalk outline around his body. “When does he stop being someone’s baby?” asks the caption. If you have children, you know the truth. They never stop being our babies. Yet “Black boys as young as 10 may not be viewed in the same light of childhood innocence as their white peers, but are instead more likely to be mistaken as older, be perceived as guilty and face police violence if accused of a crime,” according to published earlier this year by the American Psychological Association. I live in a world of privilege. My grown sons are out in the world; my stepson walks to school every day. I never wonder what a policeman will think of them. I never worry they are at risk from the people who I expect to serve and protect them. I can take it for granted, but I am trying not to, because I have too many friends, I know too many mothers, who are afraid for their sons to leave the house. I cannot believe this is what God wants for the world. We are still trying to convince our Boy to wait and see if he doesn’t get that game for Christmas. That’s a waiting game he can win; we won’t let him down. But if our Boy insists, and he goes to the store with his $35, to buy his own video game and collect his change, no one will wonder where the money came from, or whether it is really his. No one will ask a question. We need the embodied God who walked the earth, who healed the lame, who ate with sinners, who broke down barriers, and electrified the crowds but alarmed the authorities, and turned the world upside down without wielding a sword, or carrying a gun. We need the embodied God whose life was an action, political and spiritual, but most of all human. We are waiting for God, but it is not enough to dream or pray away the time. Jesus cautions us to keep alert, to be aware. Are we? Can we see the ways our lives would not match God’s desire? How can we make things better while we wait? What other hope do we have in the dark? This is fabulous, Martha. Thank you for taking a difficult/awkward passage and making it knowable.